The Compass Water tin is unique and perfect to bring both on a holiday and as a gift. The real compass inside the tin gives you the change to navigate through the airport and your holiday destination. 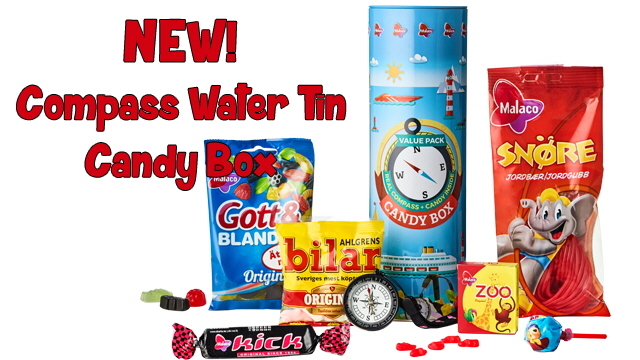 The Compass tin also contains 6 different kinds of candies. So be prepared to learn, snack and have fun!